If you take proper measures before commencing a mapping study of a cold room, you can avoid chances of failure. A temperature mapping study of a cold room is complicated since it has a lot of different tests and the satisfactory completion depends on a lot of factors. There is a controller connected with sensors for the cooling units. The display unit of this controller may not be very accurate and display resolution is mostly 0.5 °C. What this means is that it will show 4 °C, 4.5 °C, 5 °C etc. and will not show the digits in between them. Also, the calibration of the same has to be done along with the corresponding sensor which does not happen properly. During the calibration of this device, the calibration company has to inject a current corresponding to a certain temperature and check whether the display shows the right temperature. Most of the time, this procedure is not done correctly. Hence what you see on the display may not be the right temperature. The result is that if the display shows the temperature at 4.5°C, it is very well possible that the temperature near the sensor will be 5.5°C or 3.5°C. 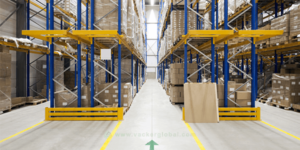 The racks and the loading pattern may not be properly designed to allow proper air flow. If there are any blocks in the path of the circular air flow within the room, the temperature distribution will not be proper. Humidity is higher than the specified limit of 65% RH. This happens very often because humidity is not considered during the design stage. For all cold rooms, the temperature is likely to go to a very high level of humidity. It may reach levels of 90-95%. In order to reduce the humidity, you will have to consider dehumidifiers. Also, air curtains at the doors will help slightly in reducing the humidity. The humidity inside a cold room increases as soon as the door is opened. Once humidity increases, it doesn’t go out of the cold room and require dehumidifiers. 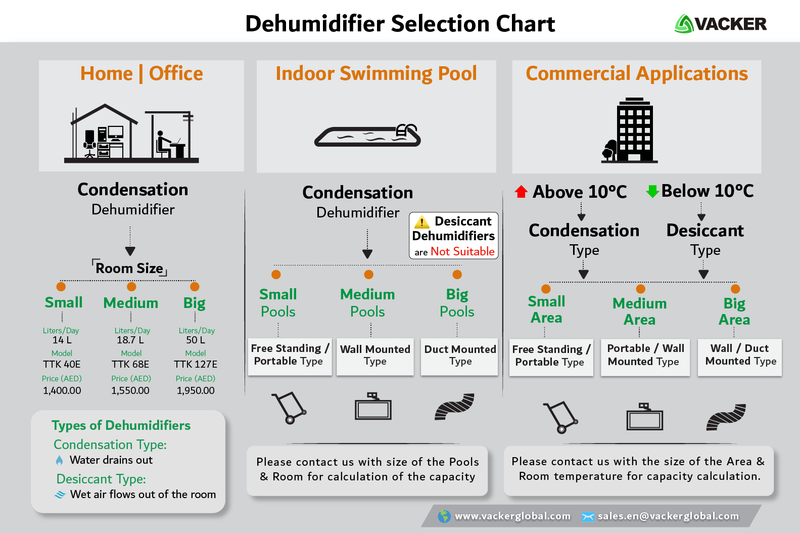 There is a design calculation involved for selecting the right dehumidifier based on the size of the room, normal temperature, maximum humidity, desired humidity etc. The positioning of the cooling units in relation to the position of the doors is important for proper retention of temperature. Most often, the HVAC contractors do not differentiate between the construction of a cold room for medicines and a cold room for fruits and vegetables. The design and installation of a cold room for medicines and vaccines require much more efforts since the auditing requirements are stringent. If the defrost cycle of the cooling units are not programmed properly, the temperature retention can be affected. This is especially important if you have multiple cooling units in the same cold room. Air curtains may be required at the doors. Installation of PVC strip curtains at the doors also will help in preventing the loss of temperature while opening the doors. This might be slightly inconvenient for a cold room with frequent door openings. However, this helps in preventing outside from entering into the cold room. Air dryers are used to reduce moisture content from the surrounding air. Moisture content is also known as humidity. Reducing humidity is essential in home, office, various industries, around swimming pools etc. We supply various types of air dryers for residential, commercial and industrial applications. An Air dryer has coils and a cooling unit. The air is taken into the air dryer machine and cooled down. The water content in the air then converts into water and gets collected in the machine. Since the water is absorbed by the air dryer, the surrounding air becomes dry. The machine works continuously until the moisture content comes down to the setting made by you. This air dryer is called condensation type air dryer or refrigeration type air dryer. An air dryer is technically known as a dehumidifier. Home air dryers are the small to medium type of air dryers. These are portable units which you can easily move from room to room. It has a small water tank which collects the water. When the water tank is full, you have to discharge the water. If you have a facility to connect a hose to discharge water, it will be easier. You can simply connect a hose and the water will flow out. These air dryers are for the bedroom, kitchen, living rooms, villas, flats, apartments etc. If your room is small to medium size, you may consider our air dryer model TTK 40E. These have a maximum water drying capacity of 14 liters per day. Office air dryers will require slightly bigger air dryers than the home dryers. The models come in various capacity. If you have a very hall, you will need to calculate the exact capacity required for drying the room. We will provide the necessary assistance in this calculations to select the right model. One of our models for offices and hotels is TTK 128E. This has a maximum water removal capacity of up to 50 litres per day. For bigger models, it might be better to connect a hose for water drainage. For warehouses, the capacity of air dryer has to be big based on the size of the warehouse. Also, you may need multiple units for better performance. We have many big models which can be installed on the floor or wall. Also, bigger machines will be directly connected to the ducts. We need various parameters to calculate the required capacity. The size of the area, temperature and present humidity are important. We will provide complete selection, supply & installation of these air dryers. Cold storage air dryers for walk-in-chillers or walk-in-freezers is completely different technology known as desiccant air dryers. Like warehouses, these also will need design calculation by experts to select the right capacity. These are below 10 °C and condensation type air dryers will not work. Few of our models of dehumidifiers for cold rooms are TTR 200, TR 300 etc. All surrounding area around an indoor swimming pool will have a very high moisture content. It is essential to reduce this moisture content. Otherwise, it will cause a lot of damage to the walls, paintings, wooden frames etc. These air dryers are again condensation type but have different components inside them. Otherwise, the air with chlorine content will damage the air dryer. Hence while selecting a swimming pool air dryer, you have to take help of our team. In order to select the right air dryer for swimming pools, you have to provide details of your swimming pools. 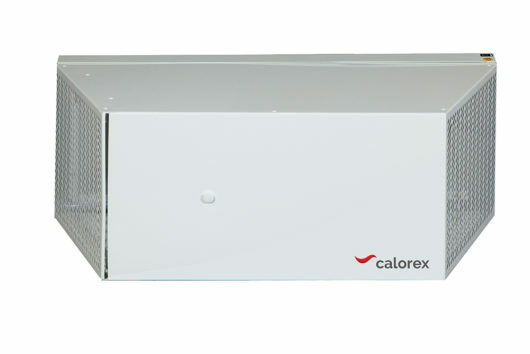 We are the authorised distributor of Calorex brand of swimming pool air dryers. These are special units for swimming pools. We have various models starting from small pools for villas or apartments to very big pools in swimming pool complexes. We supply all models of Air dryers in the Middle East and African region. In the Middle East region, we are supplying air dryers in the United Arab Emirates, Kingdom of Saudi Arabia, Oman, Qatar, Kuwait, Bahrain, Iraq, Jordan. Lebanon, Libya etc. In the African content, we are supplying in Nigeria, Kenya, Tanzania, Tunisia, Morocco, Djibouti, Cameroon, Rwanda, Uganda, Gabon, Libya, Egypt, Sudan, Seychelles etc. 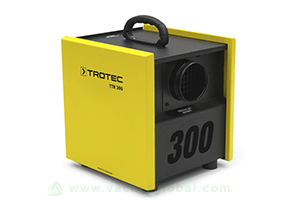 Vacker has been in the forefront of the Middle East and African market supplying various dehumidifiers & humidifiers. Over the years, Vacker has developed a lot of custom solutions. 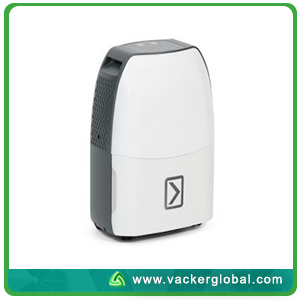 Now Vacker forms dehumidification as a separate division for serving the customers in a better way.in UAE, Vacker can be contacted at the hotline 800-HUMIDITY (800 48643489). Customers from outside UAE can contact at +971 42 66 11 44. Dehumidifiers & humidifiers for home and offices. Humidifiers for increasing the humidity in hospitals during winter times. Humidifiers for the printing press, for increasing the humidity. Dehumidifiers & Humidifiers for storage of fruits and vegetables. 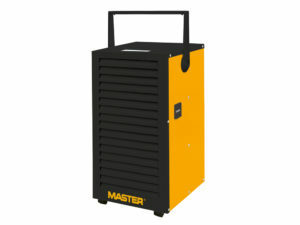 Cold room dehumidifiers for reducing the humidity of cold storages. Humidity control for indoor farming. 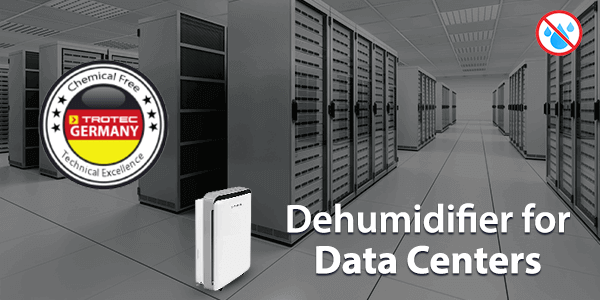 Dehumidifiers for data centers and server rooms. Humidifiers for reducing static electricity in printing presses, commercial buildings etc. Centralised dehumidification systems for commercial buildings. 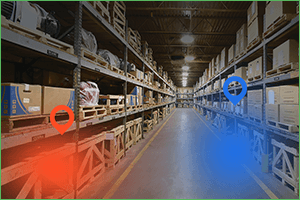 Temperature & Humidity mapping for pharmaceutical warehouses and cold storages. Supply of all types of humidity sensors, humidity meters, hygrostats, hygrometers etc. Dehumidifiers to reduce the humidity of indoor swimming pools. Humidity monitoring and control systems. We provide complete supply & installation of dehumidification systems in all Middle East countries covering United Arab Emirates, Oman, Qatar, Bahrain, Kingdom of Saudi Arabia and Kuwait. Also we provide our services in African countries including Nigeria, Kenya, Djibouti, Rwanda, Uganda, Ethiopia, Tanzania etc. This chart briefly explains how to select a dehumidifier or humidifier. To start with dehumidifiers are for reducing the humidity. The humidifiers are for increasing the humidity by producing more humidity. We have categorized into three main types based on its applications. The first type is for home offices etc. 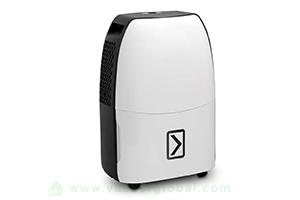 For all the Middle East countries, we have to use condensation type dehumidifiers for home and office. For very low-temperature countries such as Europe, USA, Canada etc, we may have to use desiccant type dehumidifiers. The size of the dehumidifier is based on the size of the room. Even though we have around 50 models, we have categorized into small, medium and big rooms. The prices given are in UAE Dirhams and additional local delivery charges may apply. For other Middle East countries, courier charges and tax will be applied additionally. The second type is for indoor swimming pools for villas, hotels, commercial or residential buildings. The design of the swimming pool dehumidifier is different from other commercial dehumidifiers. Hence we have considered this is as a separate category. Only condensation dehumidifiers should be used for swimming pools. Desiccant type should not be used for swimming pools. They will get damaged in 2 years time. The air near a swimming pool is having chlorine content. This air will slowly damage the rotor of a desiccant dehumidifier. Hence please be aware that you should never select a desiccant dehumidifier for swimming pools. For selecting the capacity of the dehumidifier, we need to do certain design calculations. For this purpose, please provide us with the size of the swimming pool, size of the room in which swimming pool is built, the temperature of the air and the temperature of the water. We will select the right dehumidifier for you. The Third type is commercial dehumidifier for industrial and commercial applications. This range covers both condensation and desiccant dehumidifiers. Also by size, there are two categories, viz. portable and fixed dehumidifiers. Obviously, you can move the portable ones from place to place. There are different types of fixed dehumidifiers viz. duct mounted, wall mounted, floor mounted etc. For temperature above 10 Deg Celsius, you have to use condensation type units. For temperature below 10 Deg Centigrade, condensation units will not function properly and will cause ice formation. Hence you have to use desiccant units only. For deciding the exact capacity, we need to carry out design calculations. While contacting, please provide the size of the room, the temperature of the room, the present humidity of the room and the desired humidity of the room. We will select the right dehumidifier for you. They come in many shapes and sizes. But we are not talking about hackers. Electronic and digital preparations provide the defense for those problems. We are talking about nature. Even though servers are secured inside buildings, nature has a way of infiltrating the security and attack the servers. No matter how well a building is built, nature has a way of getting humidity inside and endangering the servers. Humidity is a problem for data centers and their server rooms. Proper steps need to be taken to prevent damage to the company due to humidity. While temperature is a concern, it is humidity that can cause the most damage. What makes humidity such a dangerous problem is its two-pronged attack. 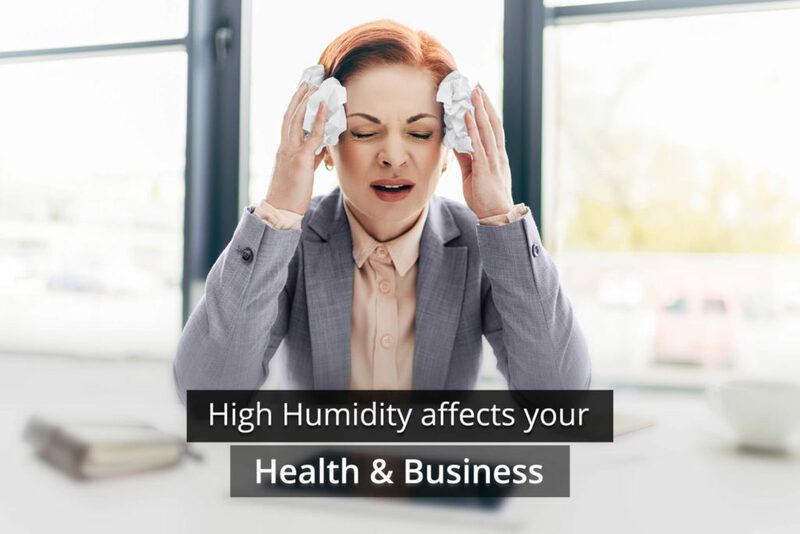 If the humidity level is too high, then humidity will develop condensation. In turn, this moisture will cause corrosion in all the metal parts of the server. This includes wiring. Corrosion leads to electrical shorts. With electrical shorts, servers will break down, lose data and the company loses uptime. But high humidity is not the only avenue causing problems. If the humidity is too low, then the lack of moisture in the air will allow the servers to develop electrostatic charges. When this electricity is discharged, sensitive electronic equipment is damaged or ruined. Both prongs of humidity’s attacks will cause a lot of problems for a data center. First, there is downtime. With servers damaged or ruined, they cannot do the job they were designed to do. Second, the repairs or replacement of these damaged servers can be costly. Not only in terms of downtime but also in financial terms. This is why data centers take great care in monitoring the humidity levels(Read about our Monitoring Systems). Humidity can cause a lot of damage to a data center and its servers. How to reduce humidity in data centers? There are several ways in which a data center can combat the humidity problem in its server room. Because temperature is also a problem, most data centers will use air conditioning to help control the humidity level. Air conditioners are effective, but they also do have some limitations. Air conditioners cannot monitor every area of the room. Their monitoring sensors do not reach around corners or obstacles. These limitations are why data centers also use environmental sensors, dehumidifiers and also venting techniques that provide inexpensive cooling. Unfortunately, while this system is frequently used, its air is a lot drier and leads to electrostatic problems. Temperature Control: The first level is temperature control. The ideal temperature level runs between 60 and 80 degrees F.
Humidity: The second level humidity. The ideal humidity levels between 40 to 60 percent relative humidity. Dew Point: The final level is the dew point. The optimum level for this important measurement is between 42 and 59 degrees F.
They need to know the capacity of the dehumidifiers, room size, the location of hot spots and other important details. It is not a matter of simply purchasing a dehumidifier and placing it in the room. Why condensation dehumidifier is the preferred choice for data centers? The reason condensation dehumidifiers are the preferred choice over desiccant dehumidifiers has to do with the latter’s limitations. It also has to do with the simple operation of the condensation dehumidifier. The fan of the condensation dehumidifier simply pulls in the hot, humid air through a cool evaporative cooling element. This element then cools the air down below the lowest optimum dew point level. The now cool air turns to water and condenses on to the cooling element. As the air turns into water, the water drips into a pan which then drains the water to a harmless place. But this is not all that a condensation dehumidifier does. After the removal of humidity, the process is completed, and the condensation dehumidifier reheats the air so that it can trap more humidity. And the process starts all over again. Not only is the condensation dehumidify simple to operate, it is also a lot cheaper financially. They work a lot better at higher temperatures and higher humidity levels. This is one of the main reasons why data centers opt for condensation dehumidifiers over other alternatives. Other reasons why data centers choose condensation dehumidifiers over other models is that their capacity levels are higher. Their ability to drain large amounts of moisture makes them a very attractive option. They also do not emit any foul odors while doing their job. Some alternative dehumidifiers use dry air to remove moisture from the air. This process develops a bad smell. Unfortunately, there is no way to separate this odor from the discharged air. The cleaning smelling air makes for a good working environment. 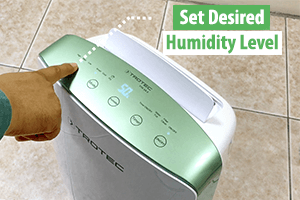 Are you searching for a Dehumidifier?